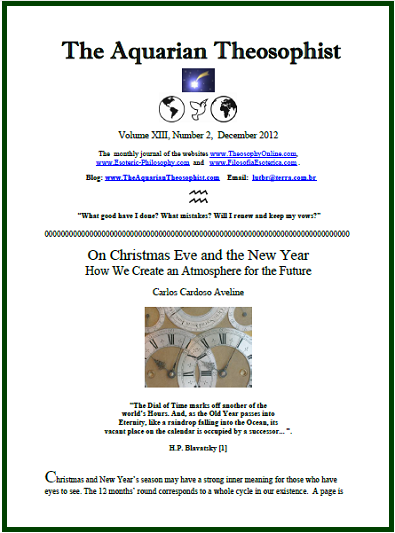 This is the December 2012 edition of “The Aquarian Theosophist”. Time and Future are its priorities. 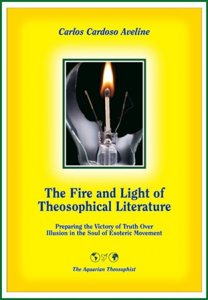 On p. 10, “Just Above the Line of the Horizon” is a note on the karmic tides faced by the theosophical movement in its evolution, and on their relation to the cycle of Jupiter, of 12 years. 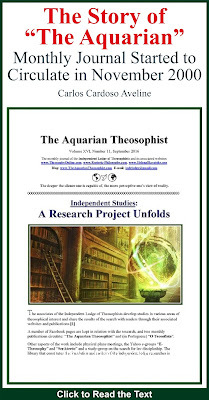 Co-regent of Pisces and the Master of Sagittarius, “the Archer”, Jupiter presides over Philosophy, Optimism, Work for the Future - and Universality. On pp. 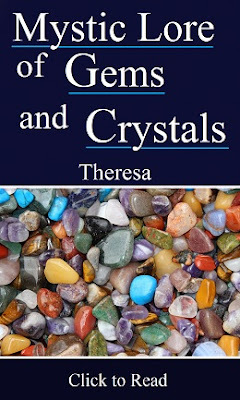 11-12, the article “The Ethos of Global Citizenship” looks at the present online world and sees in it an astral light version of the ancient Agora, or the global market place where - just like in ancient Greece - everyone is free to talk and to hear each other about life and about the art of living.